“The time of creases is over.” No, this isn’t the tagline for a new trouser press. Don’t worry, Flat-Out hasn’t gone all Alan Partridge on you. 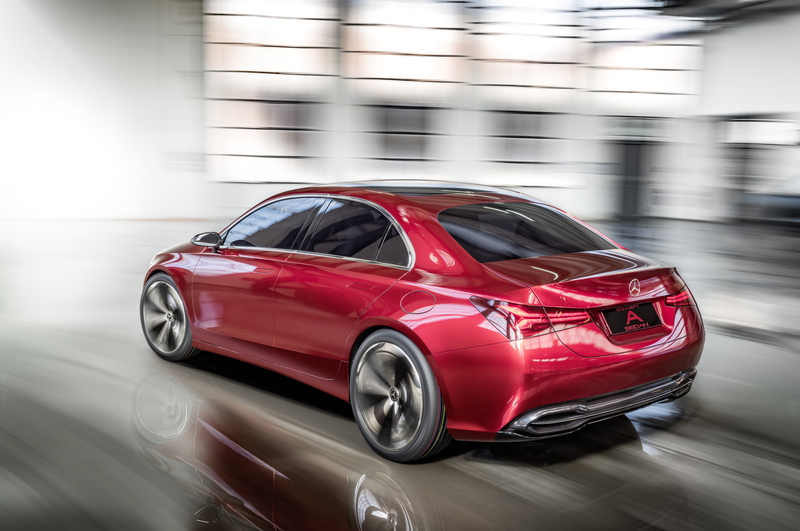 These are instead the words of Gorden Wagener, Chief Design Officer at Daimler and the man who has overseen the creation of the new Mercedes-Benz Concept A Sedan. 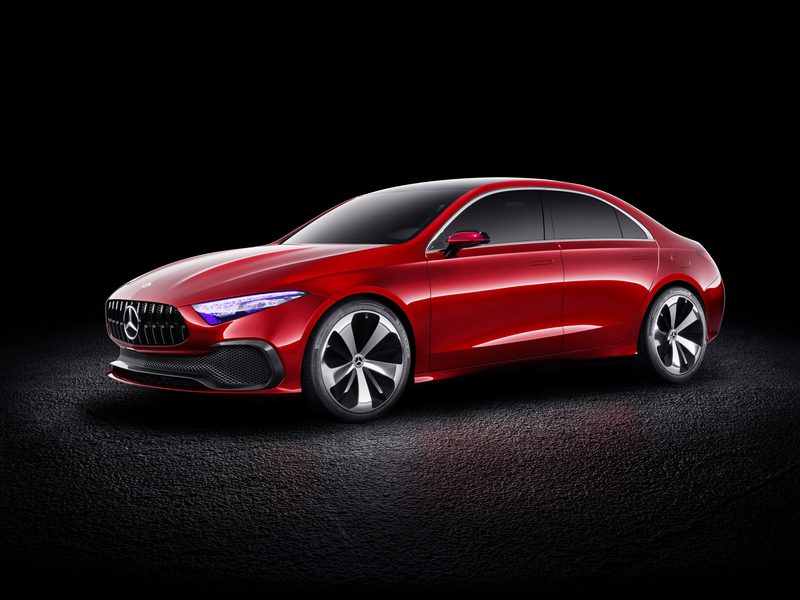 The sleek sedan suggests a switch in the three-pointed star’s design philosophy, trading sharp swage lines for more organic curves. 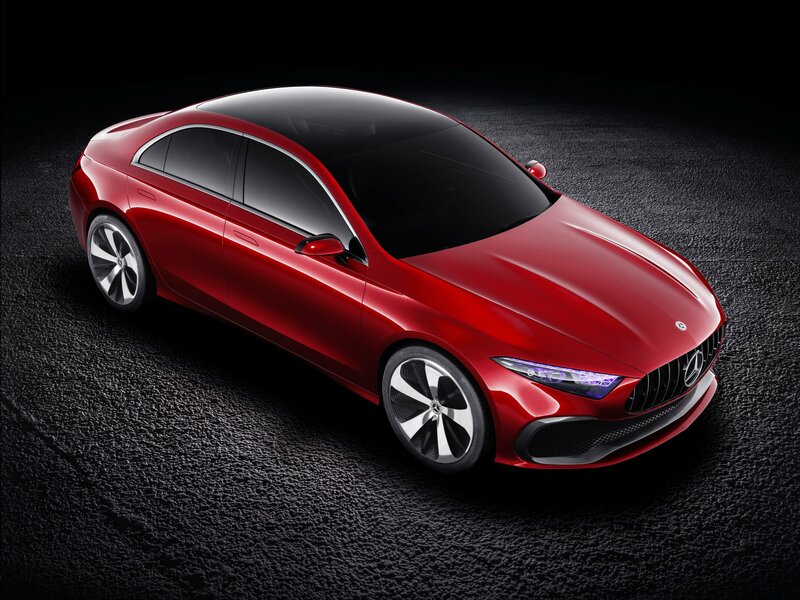 We can certainly see more than a little hint of the CLA’s DNA in the Mercedes-Benz Concept A Sedan’s sweeping side profile while the gaping front grill and aggressive air vents in the front bumper smack of Merc’s AMG GT R.
Unlike many concepts, the A Sedan actually looks remarkably production ready (bar the extravagant, 20-inch “aerowheels”). There are actual wing mirrors – rather than cameras – for goodness sake! Why may the Concept A Sedan be closer to reality than many motor show mules? The current generation of A-Class models has driven record sales at Mercedes-Benz and so Stuttgart is closely evaluating an expansion of its compact car line-up. A four-door version of the A-Class would allow Merc to take the fight Audi’s A3 Saloon and the BMW 2 Series. As the execs in Stuttgart recognise, “model variety is a crucial factor for success”. 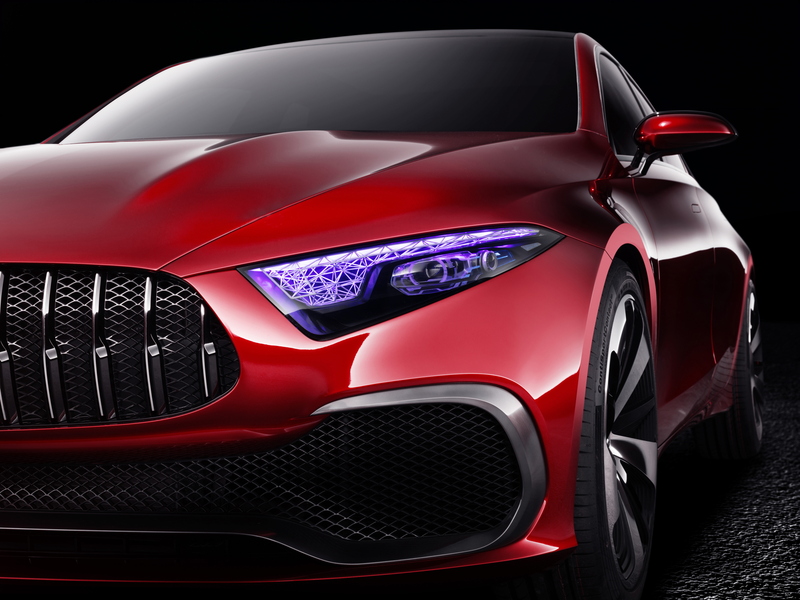 Like the AMG GT Concept, we’re pretty smitten with Mercedes-Benz’s latest creation (especially the gorgeous front light units featuring a grid structure that glows under UV light and lamps that change colour depending on their function). What do you think? 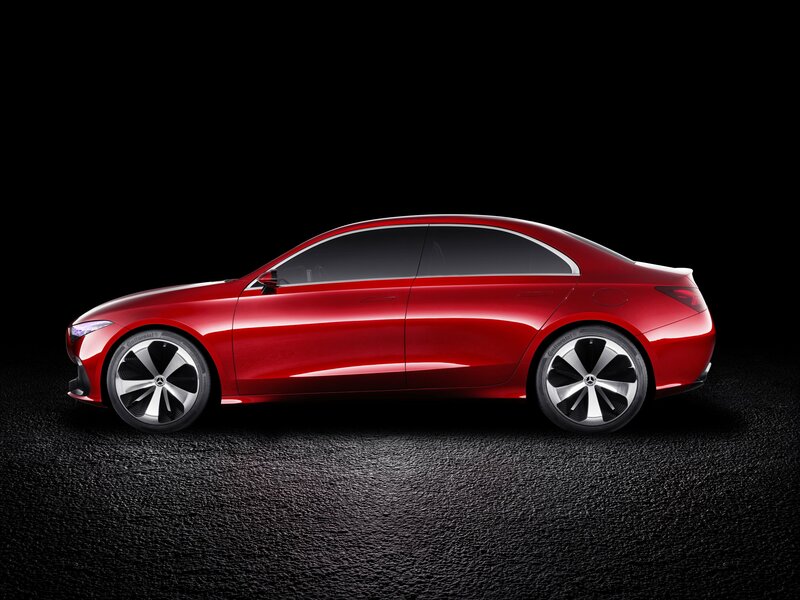 Would you have a Mercedes-Benz Concept A Sedan on your drive? Join the debate on our Facebook or Twitter pages. A lukewarm AMG estate. Sensational or sacrilege?